In order to enroll your student(s) in Homewood School District 153, several forms must be completed and fees collected. In addition, you will be required to prove residency by submitting copies of original documents. If you rent, bring in your current lease, showing the date of expiration and the name and phone number of your landlord. We do verify all leases. Each year a new lease must be provided. If you own, bring in a current mortgage statement. If you live with a resident, please call 799-8721 ext 2138 for additional information. The resident you live with must provide the residency documents (detailed on this page) and complete a specialized, notarized questionnaire. Parent/Guardian must provide a driver’s license, current tax return or current paycheck stub (with name and address), and current bank or charge card statement. If your living circumstances differ from any of the above, you must call the Business Office (799-8721, Extension 2138) to make an appointment to approve your residency. And in addition, we also need one (1) item from the list below. All must be current (dated within the last two months) and show proper name & address. Certified Birth Certificate: These must be County Clerk validated. Hospital certificates are not official. Current I.E.P. or 504 Plan or Other Special Service Documents, if applicable. Illinois State Transfer Forms: No Illinois public school district is required to admit a new student unless the transferring student provides a completed form as per Section 2-3.13 of the Illinois School Code. No school district is required to admit a new student who is transferring from an out-of-state public school unless the parent or guardian of the student certified in writing that the student is not currently serving a suspension or expulsion. Evidence of a current physical exam (within 1 year) from a Physician practicing in the State of Illinois and an immunization record regardless of their grade level prior to enrollment. IF THE REQUIRED HEALTH FORMS ARE NOT COMPLETED BY THE 1ST DAY OF SCHOOL, YOUR CHILD WILL NOT BE ALLOWED TO START SCHOOL ON TIME. Health Forms: EC/Pre-K, Kindergarten and 6th Grade students must have a current physical and immunization chart on file before they can begin school. All 5th graders must have received 3 Hepatitis B Immunizations before they can start 5th grade. Dental exam forms must be completed and returned for all incoming Kindergarten, 2nd and 6th graders prior to the beginning of the school year. Eye exams are required for all Kindergartners. 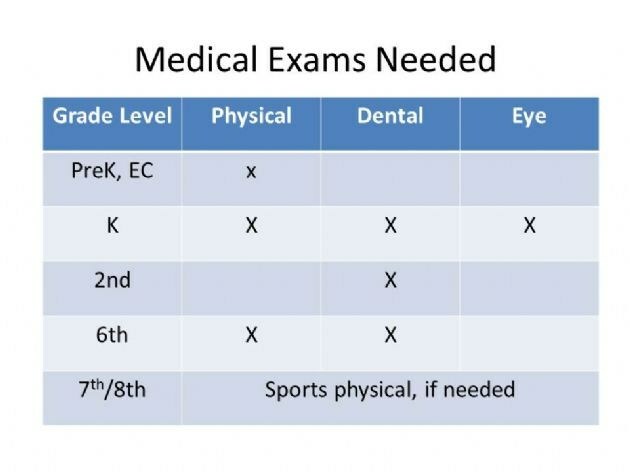 Returning EC/Pre-K students do not need a new physical exam. The school nurses will send home exam forms as needed. All students transferring into 6th, 7th, or 8th-grades will be required to show proof of receipt of one dose Tdap vaccine. If your child requires medication while at school, please request the authorization form from the school nurse. It is also available on our district website. If there are any custody restrictions, please submit a copy of the court order and/or divorce decree to the school. Also, please inform the schools if there is a change in students’ residential status or phone numbers during the school year. Bus routes are planned at the beginning of July. If your child will attend a day care service (before or after school) that is within district boundaries, you must contact Mary Markert at the district office, 708-922-2411 as soon as arrangements have been decided. Fees may be paid by check, money order, VISA, MasterCard, Discover or in cash. Credit or debit card payments can be made in person at the district administrative office or by calling(708)799-8721. SEPARATE CHECKS must be made payable to PTA, PMA, and yearbook. 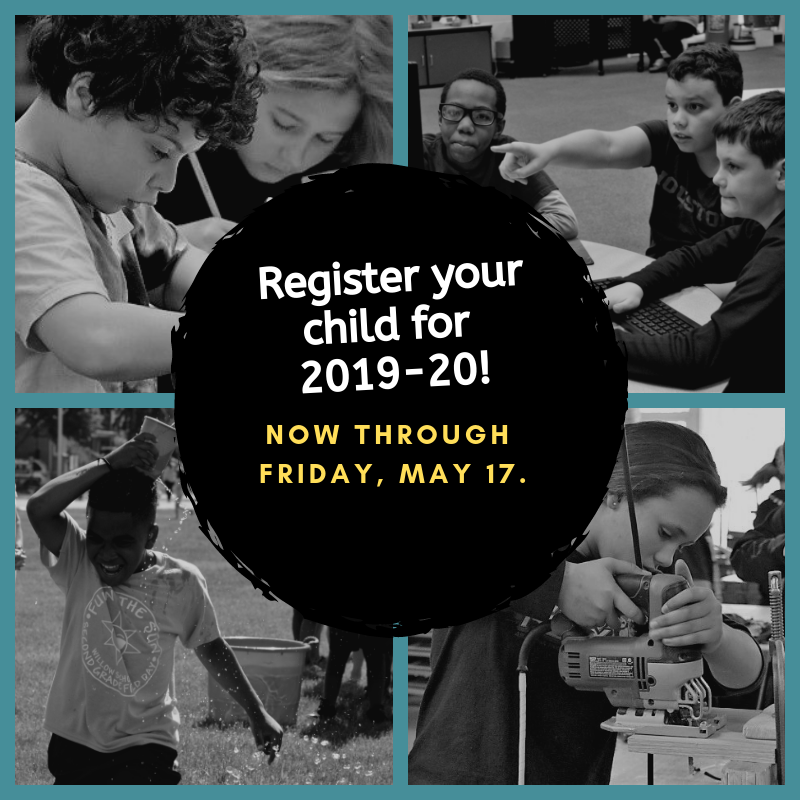 You must complete and return the enclosed registration forms and provide the necessary documents before May 17, 2019 regardless of your payment plans. Payment must be made or a fee waiver application must be on file in the District Office by the first day of school. Payment plans are not accepted; all fees are due in full before the first day of school. Please contact the District Registrar at 708-799-8721, if you have any questions or concerns.